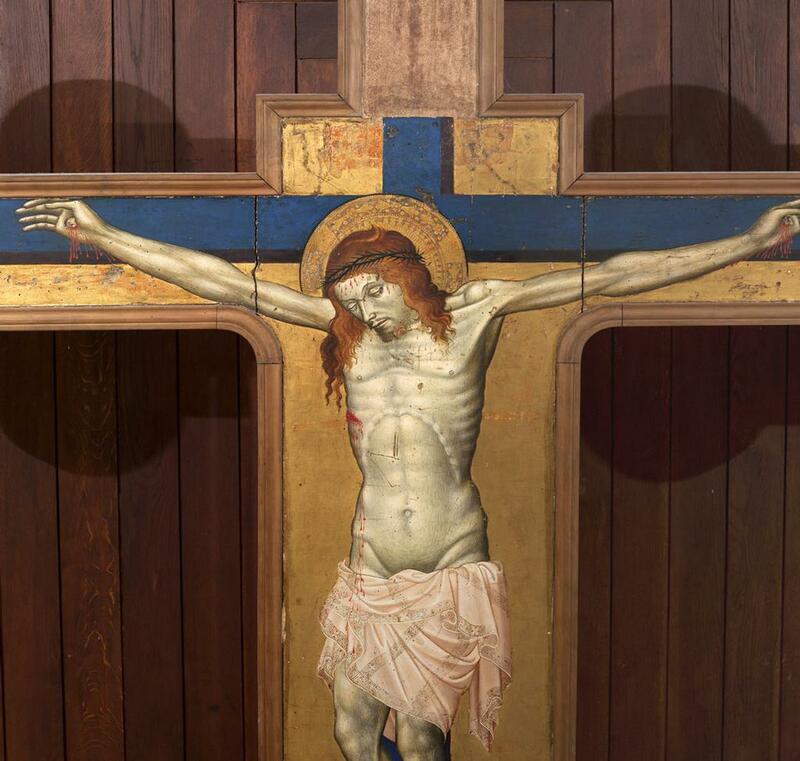 Even in the first half of the fifteenth century, the two crosses by Michele di Matteo offer variations on Giotto’s theme. 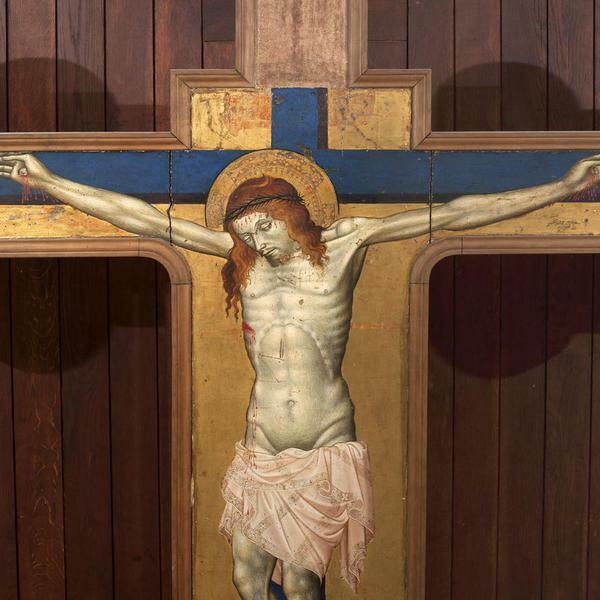 The physicality of the body of Christ is more than a memory of Giotto, it is an indispensable reference, suggested with colour and volume variations which probably still have credibility due to the resemblance to that distant model. 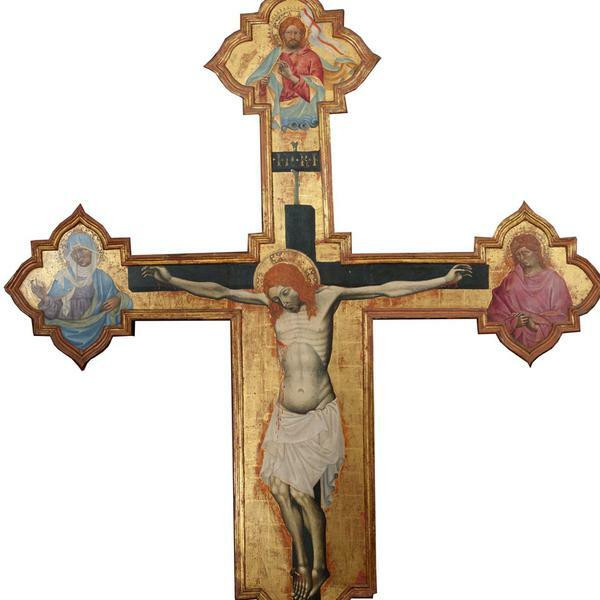 Giovanni da Modena - 1415 ca. 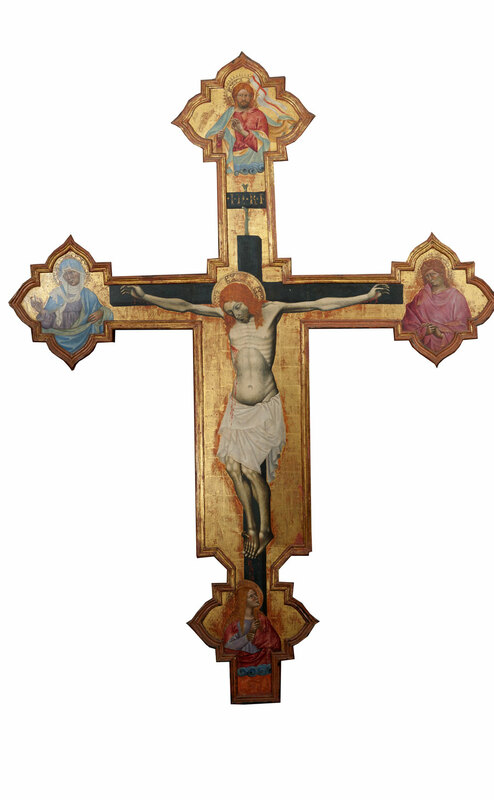 Maestro of the Franciscan Crucifixes - 1260 ca.